Ancient cultures for centuries all across the continents build huge structures for places of worship, observatories, burial places etc. The size and layout was so complex and perfect to indicate that the basis of such constructions must be sound scientific principles of most advanced branches of engineering sciences. The need of such huge places also must have been dictated by more pressing and practical concerns in public policy, agriculture and public health than just to show the pomp of a king. Other than in India and across the East Asian Buddhist countries spanning from China to Japan, most of these structures all over the world lay now in ruins or are completely destroyed. This successful destruction was perpetuated from the 4th century onwards by various plethora of groups religious zealots, hate groups, nomadic tribes as a tool to propagate their religion and intimidate existing cultures and traditions. In the modern day when such atrocious acts cannot be perpetuated the same groups are using multinational corporations, rebellious groups, Islamic Fundamentalists, Rightwing hate groups and missionaries to destroy these structures in the name of land reforms, modernization of agriculture, industrialization and if nothing works by engineering and creating terrorist and separatist groups. Recently, a spate of these structures are being discovered in the Middle East, South America, North America, Europe, India and Australia on land and under sea. These newly discovered sites remarkably resemble in design, content and construction, with existing Oriental (Asian, Indian) structures. 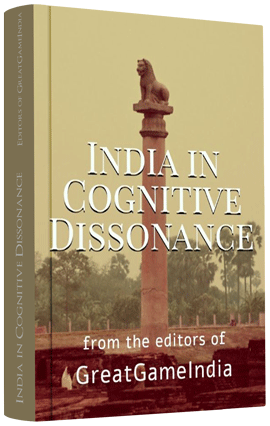 In the absence of any knowledge about these structures in India or in Asia or deliberately omitting them from even mentioning as existing, or by deliberately not encouraging the authoritative texts in this field of architecture dealing with such constructions from being translated into western languages, the western academia is throwing lot of new theories of speculative nature. Their bias towards Judo- Christian origin and development of civilization is so missionary that they even want to destroy these texts by encouraging third world governments to not support the small press that helps to publish the texts that deal with the scientific principles of such constructions. 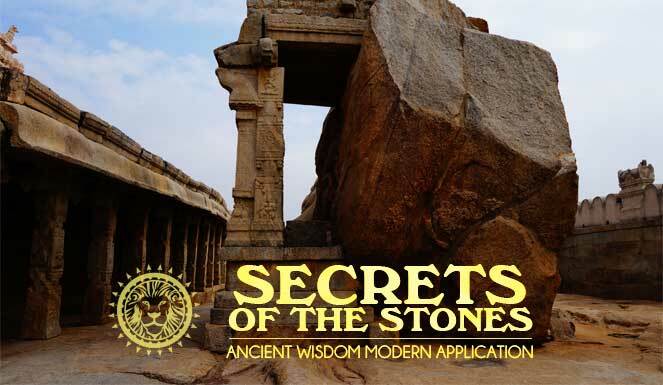 The Vedas codified the engineering sciences dealing with construction-be it at individual level (house, farm yard, etc) or at macro level (village, town, city planning, forts, irrigation, roads, canals etc), grouped under generic field of knowledge called Sthapathya Veda (Science of Forms) or Shilpa Veda (Science of Creation). Sthapthya Veda is the Upa Veda (supplementary branch) for Atharva Veda. Within Sthapathya Veda the planning, designing, construction of individual houses, farms, and villages, towns, cities, roads, canals, parks, irrigation, public works etc are codified under Vasthu Sasthra (Science of Structural Formations). The planning, engineering, designing, of community places of worship, temples, sacrificial altars are codified under Agama Sasthra (Science of Temple Construction). The knowledge for most part of the time handed over through the oral tradition of learning Shruthi, has to be printed and preserved before the knowledgeable persons in these fields completely vanish.Due largely to the lack of support from mainstream academicians, limitations of language and the governmental negligence towards those who can interpret the texts, explain the science and art of the process of the construction these knowledge is vanishing fast. There are many things that we learnt from our visit to Lepakshi and from our research and interaction with the locals. From a cursory look in and around the temple structure it quickly became evident that it was not just a temple but also a fortress with a watchtower half a mile away. There is a water storage tank some 100 meters away at ground level that efficiently collected the water from atop the structure through a drainage channel. The tank lies in ruins however there are still communities living around that harvest rice and other crops around it. At the backside of the temple structure and also around it there are half-cut unfinished stones lying around at different stages of cutting process that gives a very clear idea of the method and types of instruments used for stone-cutting. Further research confirmed it and the exact process is now known to us. Upon further inquiry from the guide and locals we learnt that there are communities in Chikaballapur and around that still do this kind of stone-cutting. Similar is the case with the communities thriving on Lepakshi inspired saaree design, sculptors, potters, painters etc. Records of Persian and European visitors to Vijayanagara provide vivid descriptions of life at the capital during the 15th and first half of the 16th centuries. Their reports on the precious stones, including diamonds, textiles and other luxury goods on sale in the markets testify to the role of the capital as one of the greatest emporia in South India. What is the current status of these communities we do not know as yet. However with the different projects planned under FDI the future of these communities look bleak. One of the unique features of the temple architecture is the hanging pillar.Not much is known about the pillar except for the incident concerning the British engineers who dislodged it. No more information is available about the particular incident except for the name of the engineer – Lord Hamilton and the year 1902.Interestingly many people call it Gravity Pillar and Antariksha Stambha. No information is available on the technology that was used to build it or even any proposed theories.The guide also narrated an incident that took place some years ago where manuscripts held in place between the ceiling wall and the pillar (not the hanging one) were taken by certain foreigners who came from New Delhi along with some officials. Another unique feature of the temple structure is the meditation room(dimply-lit and almost devoid of any sound) where Agastya Rishi is believed to have meditated for a long time. There is a mention of this place in the Scanadapurana, as one of the 108 important Saiva Kshetras in India and was called Papanaseswara Kshetra. There are different aspects that the site touch upon including ancient and more recent history, architecture, science and technology, defense and security, geopolitics, social life, religion, education and we would like to address each of them. The objective of the documentary is to showcase the potential of our proposed project/initiative taking Lepakshi as a case study. The documentary would be a proposal for the entire project covering all the sites of entire Vijayanagara Kingdom. Research will be carried out on different aspects of the site including history, architecture, communities, geography, technology, commerce, etc. taking a holistic perspective. Through our visit at the site and through inspection and interaction with the locals different features and facets of the place would be brought to light. These unique features would lay the foundation for the documentary and subsequently the entire proposed project, as it is these unexplained and unanswered questions that we wish to address through this project. For the purpose we would bring together experts from different fields on to a platform from where we could embark on a direction where we would not only be able to answer these questions but also in the process revive this once magnificent and living heritage. All interested citizens who would like to be a part of this initiative or would like to help us out in any way are kindly requested to contact us. A detailed presentation on the proposed project is also available upon request for those who would like to donate for the project in any capacity or as a lecture to be delivered for awareness at educational and other institutions.